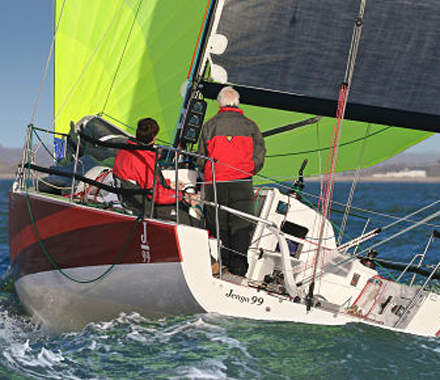 The new J/99 completes the Sport range and aims to satisfy multiple demands. A racer that is intended to be both accessible and high-performance, the J/99 will excite your senses and her very attractive price is bound to appeal! 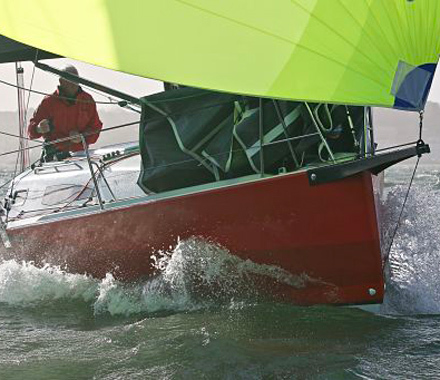 AN OFFSHORE SPEEDSTER ACCESSIBLE TO ALL! 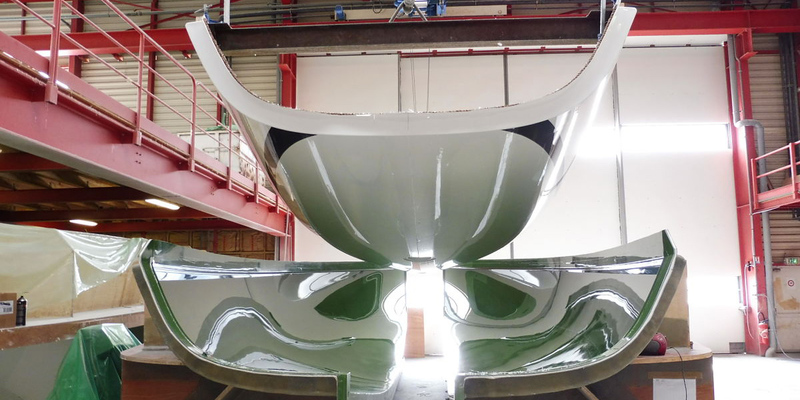 The J/99 will be the perfect boat to fulfil your desires. 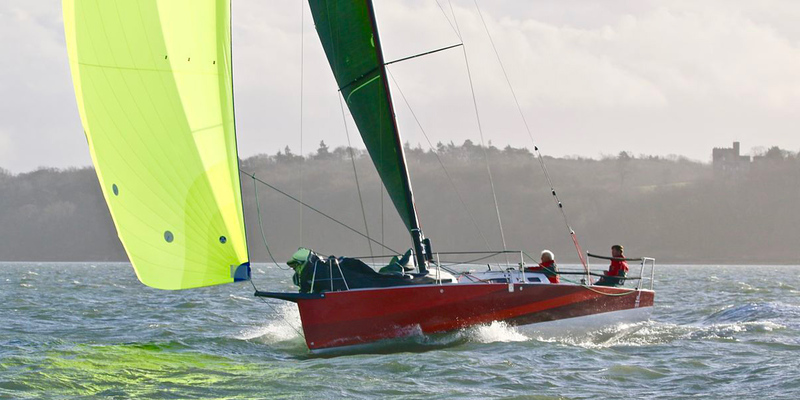 A racer designed for a shorthanded, coastal or offshore race programme, you’ll find a refined sports finish making her interior equally convivial for weekends away with family. 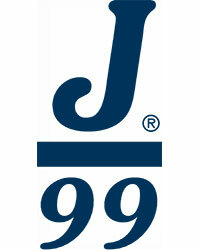 The J/99 is the fruit of an in-depth study that relies on the J/’s great wealth of offshore experience. 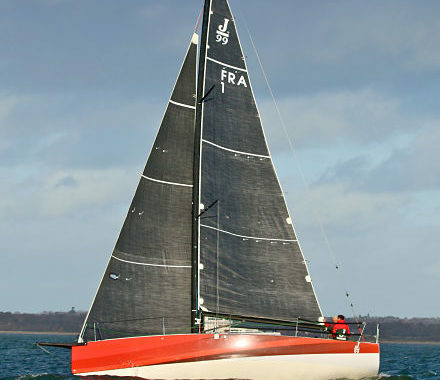 Boasting significant victories and podiums across the major offshore racing circuit (Middle Sea Race / Fastnet Race / Mackinac Race / Armen Race) her architect has relied on the recognised strengths of the existing hulls while introducing even greater versatility, notably with enhanced form stability combined with minimal wetted surface. 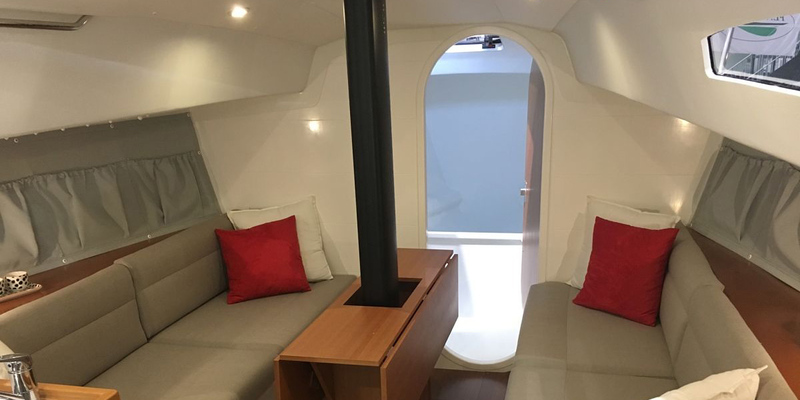 The J/99 features a comfortable layout for offshore passage making with perfectly adapted headroom. 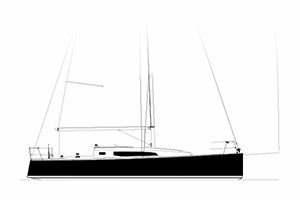 Her spacious interior comprises two individual and symmetrical aft cabins, enabling you to rest whatever the tack. 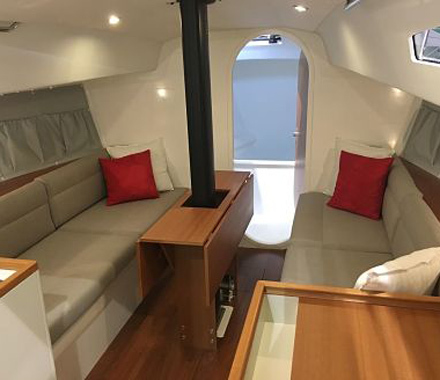 In addition, her forward heads compartment, L-shaped galley and forward-facing chart table make her highly functional and add to your comfort on the water. 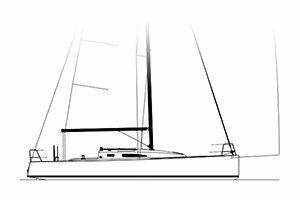 The deck layout on the J/99 has been optimised to facilitate manoeuvres in shorthanded configuration. All the main controls are accessible from the helming station. 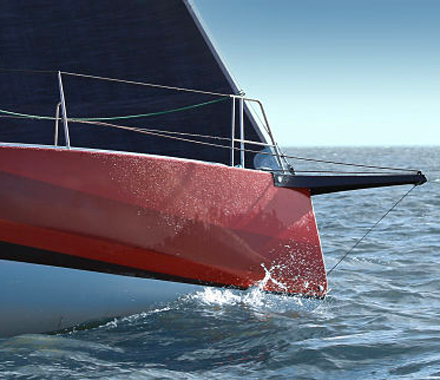 Several configurations are available: single or twin rudders / bulbed or plain fin keel / symmetric or asymmetric version. 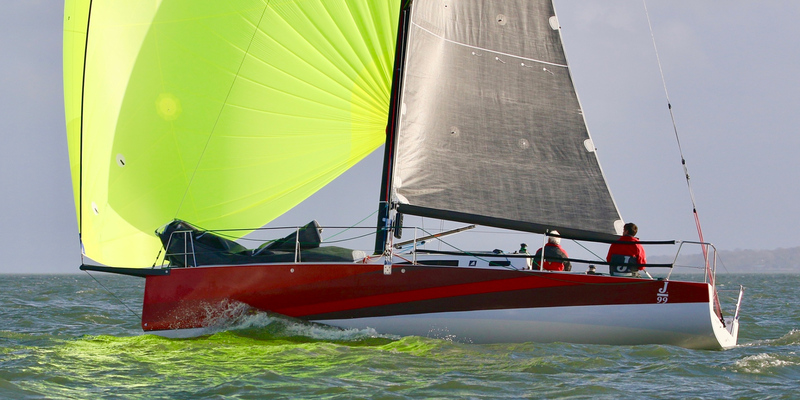 Her light displacement combined with substantial stiffness and refined steering will enable you to sail with complete confidence. Balance is key to developing a new model. 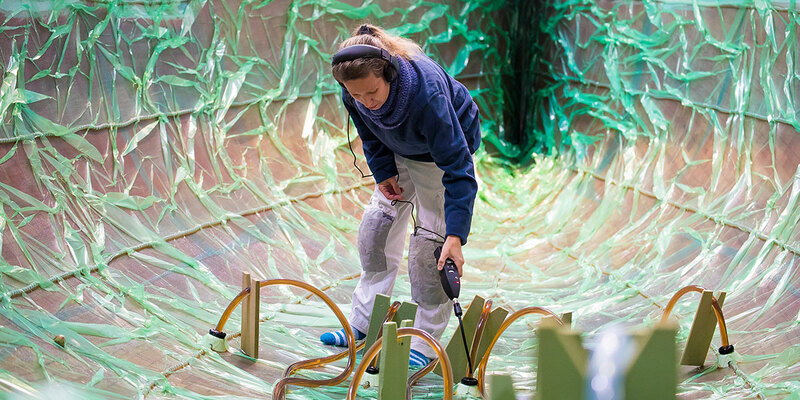 The build quality comes into its own in the way everything has been thought out. 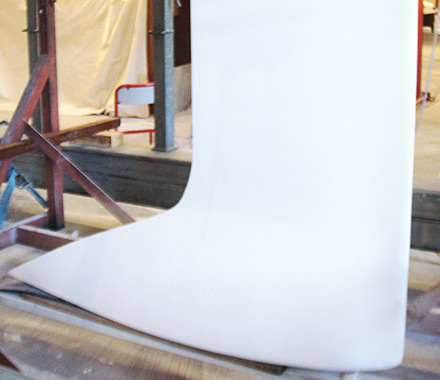 The lightness of its infused composites linked to the incomparable structural stiffness allows for increased stability and hence performance whilst providing the level of comfort and finish clients have come to expect. 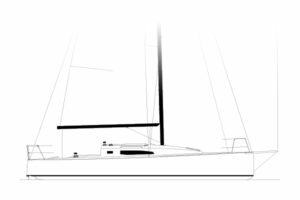 Considerable thought has gone into the J/99 to offer you a high-performance yacht able to adapt to your needs. 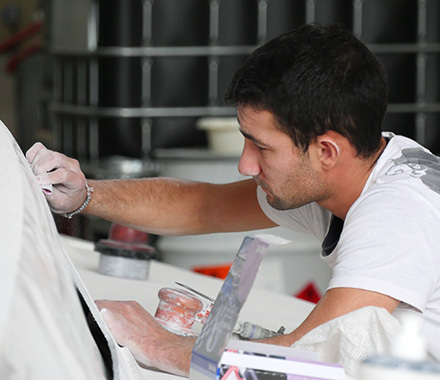 In this way, you’ll have the option of a vast array of equipment to enable you to optimise your boat accordingly. 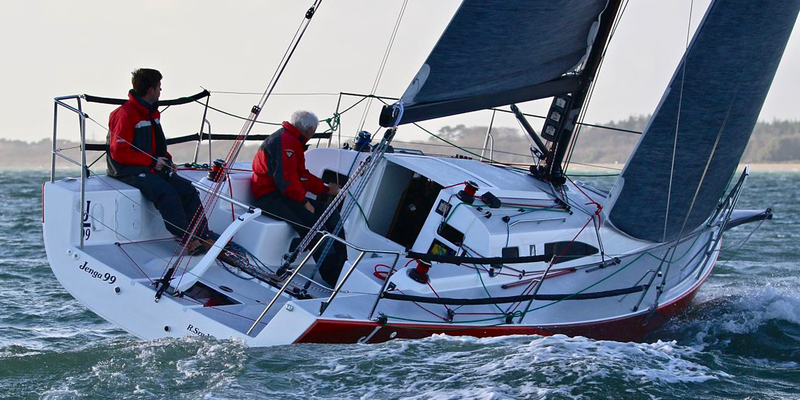 Furthermore, the rig reflects the latest technological advances, which notably include a dedicated aluminium profile integrating a mixed track contributing to the stiffness of the profile. 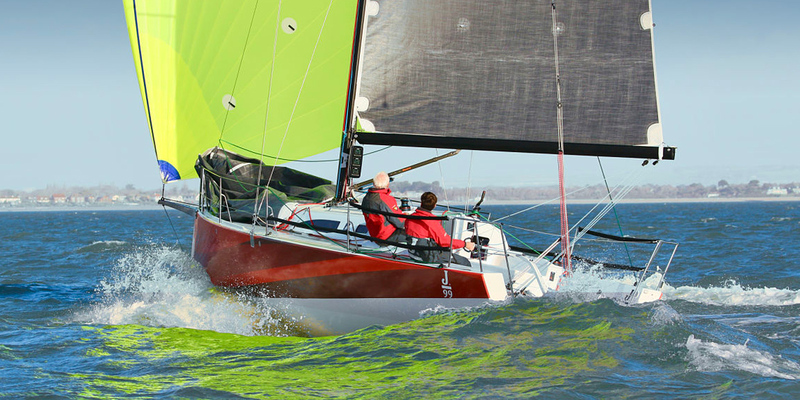 The removable fixed bowsprit is geared up for increased performance and practicality. 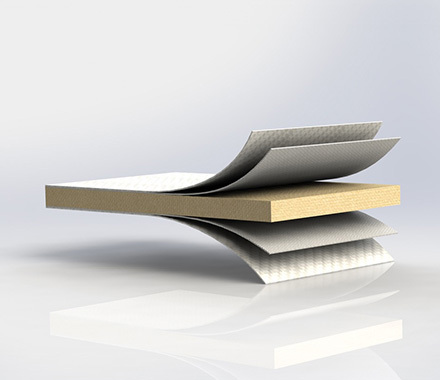 A precise selection of materials make up the composite structure to obtain the best strength/weight ratio on the market. 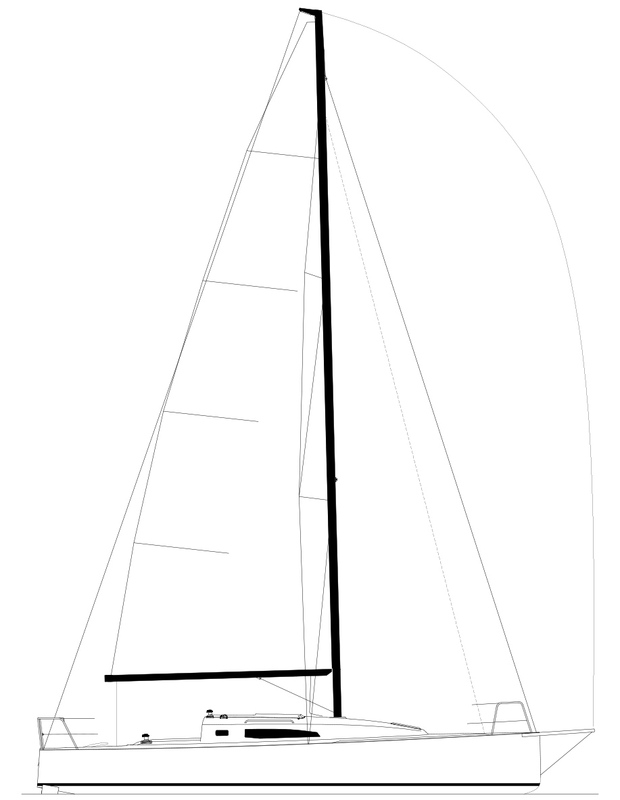 There is a choice of two options for the keel of the J/99: a bulbed keel with a cast iron fin and lead bulb, or a flat lead keel. 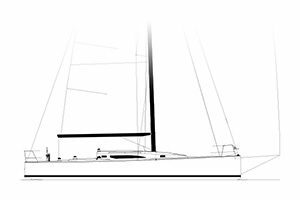 The J/99 is equipped with a custom aluminium mast, demonstrating an extraordinary level of quality for the market. 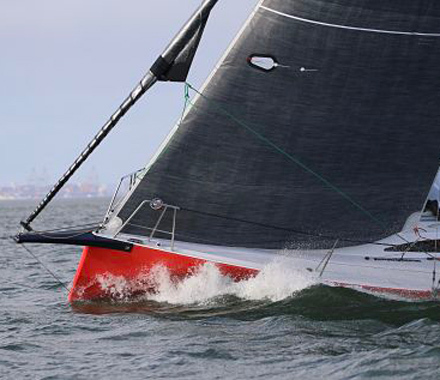 The supreme stiffness of this mast means that the additional costs associated with a carbon rig can be avoided. The J/99 features a light and highly refined finish with varnished fiddles, creating a more modern, bright and easy to maintain interior. The J/99 is designed to perform with a simplified suit of sails, 4 sails being enough to cover a wide range of conditions: mainsail, jib, staysail and spinnaker. 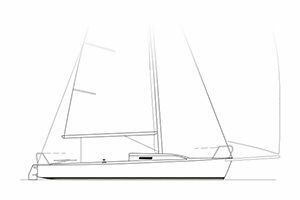 Those who love the thrill of sailing will appreciate the J/99’s planing capabilities downwind, making her a genuine racer designed in line with the Sport range concept. The J/99 comes with a choice of two steering systems, a single or twin rudder option, to satisfy your sailing programme. 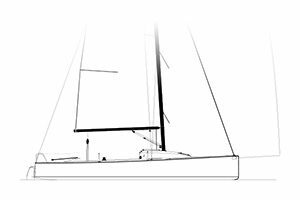 The J/99 features a removable fixed bowsprit enabling increased space down below and enhanced safety, whilst retaining her fine performance downwind. Wherever your voyage takes you, your yacht will be recognised and admired. 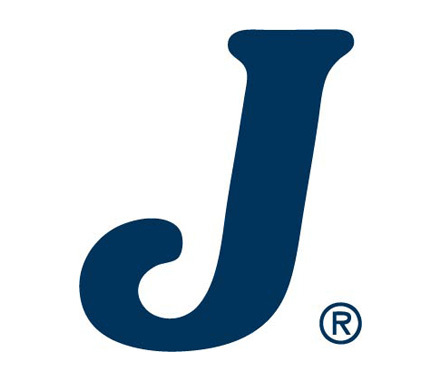 J boats are renowned for their sailing prowess, their longevity and how enjoyable they are to sail. 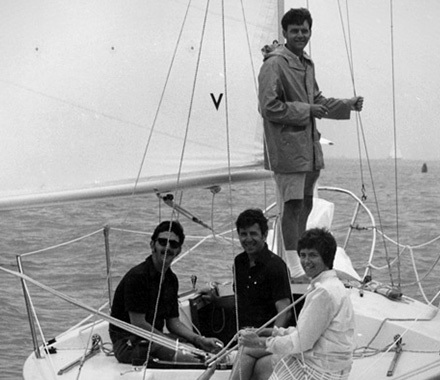 It is the story of a family and a team of enthusiasts, whose aim has always been to design the best yacht of its category. 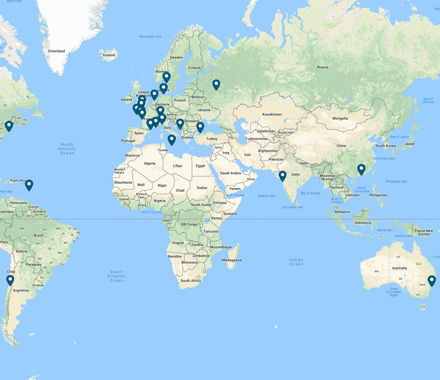 The presence of a dense international network means that you have advice and services at your fingertips in the majority of countries you’ll navigate.